CPEC has added practical dimension to Sino-Pak ties! No Private Prisons: British Shadow Justice Minister Br. Imran Hussain! ISLAMABAD: Foreign Minister Abdullah Hussain Haroon on Friday said that China Pakistan Economic Corridor (CPEC) had added a practical dimension to the strategic partnership between the two countries and through its energy and infrastructure projects, CPEC has already started yielding dividends for Pakistan. Henry Tillman, Chairman, and Chief Executive Officer, Grisons Peak Investment Bank, UK, which is an authority on BRI & CPEC and other Chinese economic initiatives the world over in a comprehensive presentation, outlined the impressive successes and milestones achieved by CPEC. Agreeing with the foreign minister, Tillman highlighted the successes of BRI and CPEC projects and their economic impact. He said that CPEC was benefiting Pakistan in practical terms especially in the energy and infrastructure sectors. Several power projects had been completed and a number of roads had been built, he said and added many projects in energy and infrastructure were in completion phases. He said that CPEC would generate 800,000 jobs. Tillman also highlighted the expected positive spillover impact of BRI and CPEC on FDI from other countries, as well as the development of Pakistan’s construction, manufacturing, tourism, and e-commerce sectors. He focused on the tremendous opportunities to be made available through the Special Economic Zones, which were already attracting international interest and could act as catalysts for accelerated economic and industrial growth. 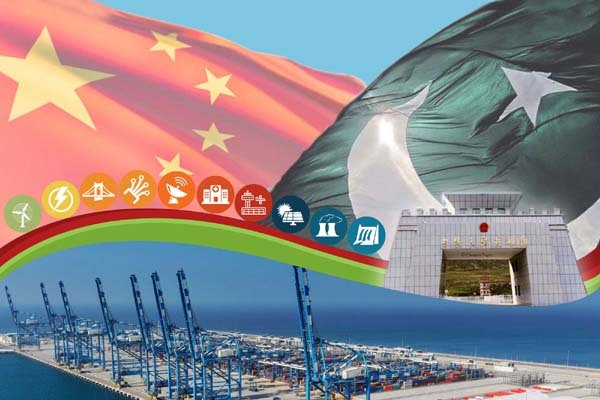 Appreciating the success of CPEC, Tillman opined that in comparison to other BRI corridors Pakistan had done well in fast-tracking CPEC, due to which negativity about Pakistan was dissipating, many major companies were coming to Pakistan, revenue was being generated and new opportunities for investment were opening up. The event is part of Ministry of Foreign Affairs’ ongoing efforts to highlight the positive impact of CPEC on Pakistan’s economy and its importance for regional connectivity. The event which was hosted by Foreign Minister Abdullah Hussain Haroon was attended inter alia by Minister for Finance, Dr. Shamshad Akhtar; Minister for Law and Justice Syed Ali Zafar, Ambassador of the People’s Republic of China to Pakistan, HE Yao Jing, CEOs of Chinese Companies and senior government officials. A large number of members of Islamabad’s think tank community and academia also participated. Related Topics:CPEC has added practical dimension to Sino-Pak ties! ISLAMABAD: For Sialkot businesses, reaching for gold in Intellectual Property (IP) and sports is more than just this year’s World IP Day theme – it’s their business model. While many Pakistanis take pride in how the 2018 FIFA World Cup used soccer balls made in Pakistan, few know how the patents registered by Pakistani innovators have helped create jobs and boost the economy at home. The U.S. Embassy, Sialkot-based innovators, and local universities learned the value of the intellectual property from Pakistani manufacturers during events to celebrate World Intellectual Property Day. The seminars at the National University of Science and Technology and Fatima Jinnah University showcased members of the Sialkot Chamber of Commerce and Industry, and how their sports industry thrived after patenting their creations. As sports business has become a multibillion-dollar industry worldwide, the Sialkot businessmen explained how they registered their intellectual property to help earn Pakistan $500 million in sports equipment exports every year. ISLAMABAD: U.S. Embassy Economic Counselor Michael Sullivan held that for any industry or country, protection of the intellectual property was essential for growth, but Sialkot’s businesses had shown the true value of IP to Pakistan. PS: World IP Day was established by the World Intellectual Property Organization in 2000 to raise awareness of how patents, copyright, trademarks, and designs impact daily life, promote creativity, and celebrate the contribution made by creators and innovators to the development of societies across the globe. LAHORE: Shukran, the first social network created by the Muslim community, will be at Texpo Pakistan 2019 at Expo Center here for the second edition of the most important international textile fair in Pakistan, organized by Trade Development Authority, Ministry of Commerce, Govt. of Pakistan. TEXPO Pakistan takes place in Lahore to give Pakistan a boost to the textile industry based in the northern part of the country. The textile industry constitutes almost 60% of Pakistan’s total exports, as Pakistan is also one of the very few countries in the world that hosts the entire textile production chain. The 1st edition of TEXPO was launched in 2016: delegates from 52 countries across the globe participated and more than 700 specialized B2B meetings were organized between international buyers and exhibitors. Shukran is honored to have been invited by TEXPO to cover the event and write about Pakistan as a fast emerging Muslim country. Shukran is the social network created to share with the world the richness of the Muslim world, its vital economy, its culture, its society full of energy and ideas for the world. “It is a great honor for us to be present at TEXPO – commented Amal Sultan Khan Ambassador for theShukran Pakistan – and for this reason we will be there, we will tell the world the importance of this Fair and the importance of a social network created in the Muslim world , the Shukran – Amal Sultan Khan continues … – it is where the Muslim world creates initiatives and shows beauty “. Shukran, with its rapid growth, is climbing the ranking of the most downloaded social media in the world and aims to reach the top of the world rankings in the near future. “The appointment is in Lahore for 11-14 April 2019 in the name of knowledge and thanksgiving – concludes Amal Sultan Khan – because, as the Hadith, that stands as the foundation of our social network, says Whoever does not thank men does not thank Allah”. It is the first social network created by the Muslim community around the world. We have no borders, the Shukran is wherever there are Muslims. The Shukran is the new encyclopedia of the Muslim world, everything regarding us is on the-Shukran, shared by users, companies, people of science, religion, society. We are the social network made by Muslims for Muslims but also for the world. Why a social network like theShukran? Because we Muslims need a place where we can talk, express ourselves, meet. But also because the non-Muslim world needs to know our true face, who we really are. In which countries do you have a presence? In Pakistan, we have our largest and most active community, but we are also in Europe, in North Africa, in the Middle East … our growth is rapid, we are climbing the rankings of the most downloaded social media, it is an extraordinary moment for us. Why are you a TEXPO media partner? Because we believe in the growth of Pakistan, because we want to tell the world about this extraordinary country and because we are sure that Pakistan can be told through its creativity and its desire to grow. Why is it called theShukran? Our guide is the hadith of the Prophet (PBDL): Whoever does not thank men does not thank Allah. For us to thank is a fundamental act, to say thanks to people, for what they do every day for others. How will you counter Facebook and Instagram? We are different from them. We are not in competition. We are an alternative. Here hate has no space. We want to create a great encyclopedia of the Muslim world, we are over a billion in the world but the world media prefer to describe us as terrorists, as backward and violent people. It’s not true. the Shuksan is proof that this is false. We are the antidote against Islamophobia and we are the best place to give voice to the many Muslim identities. What are the most common topics on the Shuksan? From the cooking to fashion, from politics to art and religion, our users represent their rich, deep, peaceful identities, eager for a future and well-being. The Shukran is the place where all the hopes and faces of Muslims meet, to make our lives great. Do you think you can win the competition? We will show that even the Pakistanis and Muslims around the world, with all their differences and commonalities, can create a great social network. What is our aim? To be the first. We are going to make it… InshAllah. DHAKA: Six years after one of the world’s most devastating factory disasters led to international safety monitoring in Bangladesh, campaigners are warning of “grim consequences” if such oversight is abandoned. The collapse of the nine-floor rabbit warren of textile factories at Rana Plaza in Dhaka on 24th April 2013, killed 1,138 workers and shone a spotlight on the poor safety standards in Bangladesh’s $31 billion garment industry. Under intense pressure, top brands such as H&M, Inditex, Carrefour, and Gap set up two watchdogs to look at more than 4,500 factories that make clothes for Western stores. One of the watchdogs, the Alliance for Bangladesh Worker Safety, has already wrapped up after reviewing nearly 1,000 factories that produced mostly for US brands. The future of the larger monitor, “Accord on Fire and Building safety”, representing some 200 European labels such as H&M, Primark and Tesco, is to be decided by Bangladesh’s Supreme Court after a lower court ruled it should also wind up. Laura Gutierrez of the US-based Worker Rights Consortium, a labor group, warned that ending the international oversight “will have grim consequences for workers and factory owners”. It “will cause brands to see the country as a far riskier place to produce,” she added. Christie Miedema of the Clean Clothes Campaign added that progress of safety “will be lost — setting the country on a path back to the situation before the Rana Plaza collapse”. Top brands including H&M, Zara, Adidas, Tesco, and Next have backed concerns raised by such labor rights groups. British brand Next said that “any early termination of the current Accord operations in Bangladesh would be detrimental to the safety of workers in the readymade garment industry there”. Accord, for its part, says it needs more time to enforce safety in the 1,700 factories it has reviewed so far, while manufacturers argue that the programme’s five-year mandate has already expired.